Congratulations to the Class of 2018 and thank you to our Sponsors and Olympic Scholarship Donors. 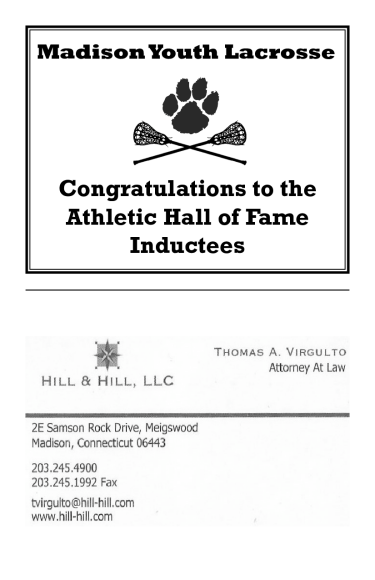 The Madison Athletic Hall of Fame congratulates, and welcomes, the Class of 2018 to be inducted and honored this year as the sixth class into the Hall of Fame. 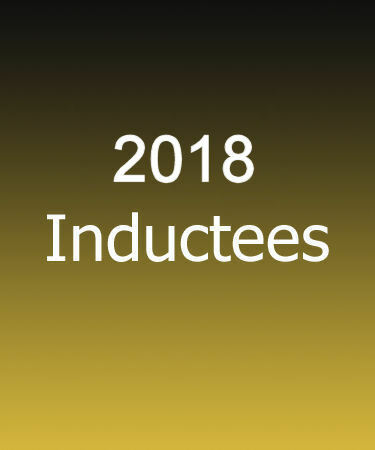 The inductees were chosen amongst an extensive list of nominees and are joining a prestigious list of inductees already honored with the highest athletic recognition in Madison. 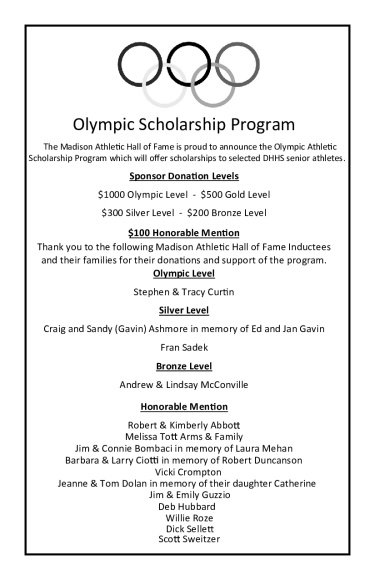 The objective of the Madison Athletic Hall of Fame is to recognize the unique and extraordinary tradition of excellence from Daniel Hand High School�s Alumni Athletes, Coaches, Administrators and Exemplary Community Members for their contributions to Daniel Hand High School, to Madison and to our Society. 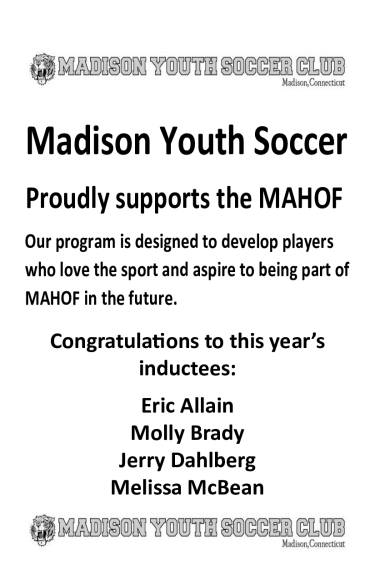 The Induction Ceremony took take place on Thursday, September 20th at 6 p.m. at the Madison Beach Hotel. The class was honored the following evening during the halftime of the home football game at Strong Field. 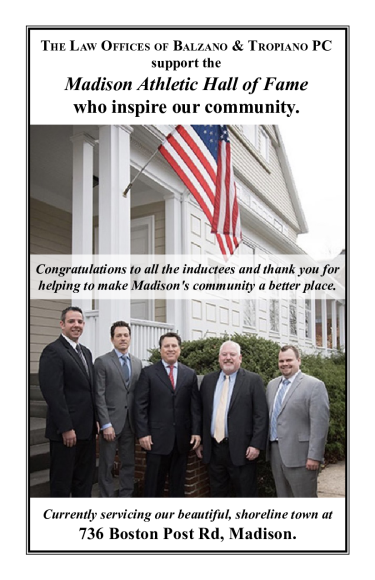 Please join us in congratulating the Madison Hall of Fame Class of 2018! 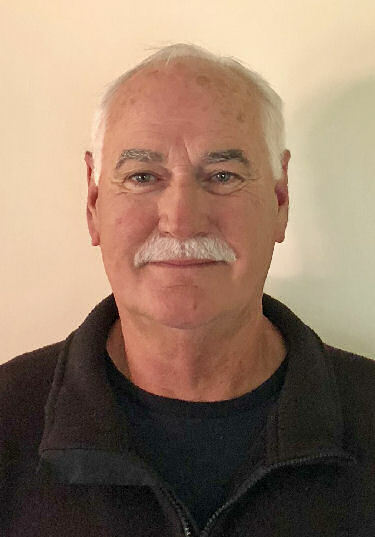 Eric Allain, Daniel Hand High School class of 1976, was one of the most illustrious performers in the outstanding history of the Hand Boys Track program. Eric's 214' 4'' javelin throw was the school record at the time of Eric's high school graduation. He also held the school record in the 120-yard high hurdles (15.4). As a sophomore, Eric first broke the school record in the javelin (175'1'') by throwing it more than six feet longer than the previous record. He also broke the school record in the 120-yard high-hurdles (17.3). He often won the javelin, 120 high-hurdles, shot put and long jump in the same meet. The most superb accomplishment that season occurred at the Shoreline Conference Championship meet. According to a May 20, 1974 Shoreline Times article, "Eric Allain of Hand turned in an incredible performance. He proved last Saturday that he is the Shoreline's most versatile athlete. He won the javelin and placed fourth in the shot put to prove his strength. He then took third in the long jump and edged Fred Brooks of Old Saybrook, the meet's outstanding performer, in the 120 high hurdles to show his speed and agility." Eric broke his own record in the javelin (206'10'') and high hurdles (15.4) in his junior year. He also won the javelin and high-hurdles at the Shoreline Championship meet for the second consecutive year. Eric further demonstrated his skill by winning the Class M Championship in the javelin that year. The culminating event of Eric's junior year was winning the javelin in the Greater Hartford Invitational. The Greater Hartford Invitational was one of the biggest track meets in the East and featured athletes from Connecticut, Massachusetts and New York. Of all the individual accomplishments in Eric's track career, he was most proud of being a member of Hand's undefeated Shoreline Champions in his junior year. As Eric's senior track season approached, Hand boys' track coach Warren Miller discussed Eric's importance to the Hand track team in a Shoreline Times season preview article. Miller stated, "Eric has been high point scorer for the past two years averaging twenty points per meet. That pretty much shows how important he is to the team. Eric is the best weight man in the state." (Shoreline Times, April, 1976) An opposing coach declared, "Of course, if you are going to talk about Madison you have to talk about Allain, the two just go together." As a senior, Eric served as tri-captain of the track team and repeated as winner of the javelin and 120 high-hurdles at the Shoreline Championship meet. In addition, Eric won the shot put competition. At the state level, Eric once again was the Class M champion in the discus and only lost the State Open competition on a technicality. He broke his own Hand javelin record again with a throw of 214"4' which still stands. In the Greater Hartford Invitational, Eric repeated his junior year victory in the javelin and placed second in the high hurdles. In national competition, Eric finished sixth in the javelin at the International Prep Invitational in Chicago and fourth in the Golden West meet in California. During the fall season, Eric was on the Varsity Soccer team for all four years of high school. He was a very good player who was a starting member of the team for three years. Eric was offered a full scholarship to Florida State University and had a very successful career at FSU setting a school record in the javelin in his freshman year (250'0"). His 250-foot throw was the longest throw in the nation for a freshman. He attended the NCAA Track and Field Championship as a freshman and placed 11th in the javelin competition. Eric held the school record for four years until a freshman he had trained beat Eric's record by three inches on the last throw of his college career. He won the javelin competition in almost every meet in which he participated during his college career and also won the Florida Relays twice in the Open Javelin Division. Perhaps the highlight of Eric's college career was winning the Old Metro Conference title for three consecutive years. Eric qualified for the United States Olympic Trials in Eugene, Oregon in 1980 but sadly did not get the opportunity to try out because President Carter pulled the U.S. out of the Moscow games due to the Soviet invasion of Afghanistan. In reflecting on his stellar high school career, Eric fondly recalled the contribution to his success made by Hand track coach Warren Miller. Allain declared, "Coach Miller was a great motivator and easy to work with. He was always encouraging the team to do their best and was really into Track and Field. He was the kind of coach that you really wanted to do well for because he was such a good guy." 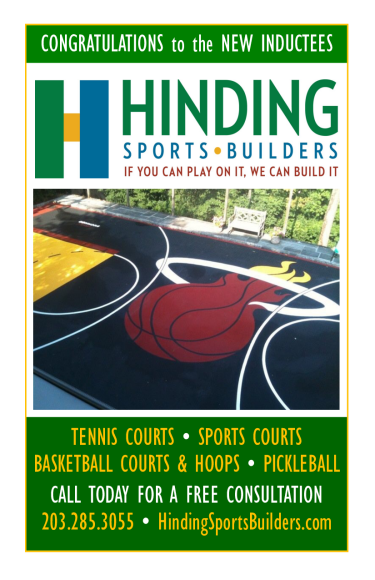 Eric is the General Manager of the Grand Harbor Golf Club in Vero Beach, Florida. Eric has been married to his wife Cathy for 34 years. They met as students at FSU and have three children, Kristin, Stephanie and Nicholas. In addition, they have two grandchildren, Kennedy and Jude. They reside in Orlando, Florida. Molly Brady, a 2001 graduate, is one of the best lacrosse players in Daniel Hand Girls' Lacrosse History. Her speed and athleticism earned her a starting position the fall of her freshman year in Soccer and then consecutively for her remaining seven Varsity seasons in both Soccer and Lacrosse. Pat McCahill, Hall of Fame Lacrosse Coach, remembers that Molly was also a true Scholar-Athlete, meeting high standards of Service, Citizenship, Scholarship and Leadership to gain acceptance into Daniel Hand's National Honor Society. As a soccer standout at Daniel Hand from 1997-2001, Molly started for Coach Dave Scott. She also played travel soccer and her senior season was with Hall of Fame Coach Bob Faulkner. Molly was three times named All-SCC and was selected by her Coach and teammates to be Captain for the 2000 season. A leader on and off the field, Molly was a team player and helped elevate the level of play of those around her. During the spring season with Hand Girls Lacrosse, Molly had the success and fulfillment that would lead her to pursue playing Division I lacrosse. She was again a four year starter, a senior captain and a three time All-SCC selection in lacrosse. Molly was recognized as the MVP of the SCC as a sophomore and All-Area MVP as a junior. She then earned All-State and All-Area recognition in her senior season as well. Molly was a prolific scorer in lacrosse with a sharp shooting percentage. By 2001, Molly held the record for most goals in a game (10) and most goals in a career with 216. Molly played for Hall of Fame Head Coach Pat McCahill and her assistant, Hall of Fame Coach Jim Flanagan. After Daniel Hand, Molly continued her Lacrosse career as a scholar-athlete at the University of California at Berkeley from 2001-2005. UCal's prospectus described Molly as "an extremely fast athlete, who relies on her quickness . . . a fierce competitor." Molly's speed, athleticism, competitive drive and her understanding of the importance of team empowered her to excel at the Division I level. She was a significant contributor from the beginning and continued to impact the Bears' on the field and in the classroom for four years at Cal. In 2004 the Bears played for the Mountain Pacific Sports Federation (MPSF) Championship, earning 2nd place, with Molly being named to the MPSF All-Conference and All-Academic Teams, as well as earning the team's Golden Bear Award. As Captain her senior season, Molly finished her Berkeley career in 2005 as the fourth all-time leading scorer with 136 points (124 goals, 12 assists) and with the highest shooting percentage; she was also a MPSF All-Tournament selection in 2005 as well as again receiving All-Conference and All-Academic team honors. Molly's dad fostered and supported her playing career believing in the tremendous value of athletics. The lessons she honed as a scholar-athlete helped Molly build a successful career in medicine and to positively impact the lives of others every day. Dr. Molly Brady graduated from the UCONN School of Medicine and is now an ER physician and Medical Director at Sherman Oaks and Encino Medical Centers in Los Angeles, CA. She also continues to work as an attending physician at Los Angeles Medical Center where she completed her residency. Molly is the daughter of Jana Siman and John Brady and stepmom Dr. Roberta Isleib. Molly and her husband Jeffrey Russell live in Venice, CA where they are raising their two children, Dorothea Snow Russell (2) and Henry Wilder Russell (6 mo). Don Cramer knew early on that he wanted to make a difference in the lives of young people as a coach and he did it as well as anyone for forty-six years. "Athletics was so important in my life as I was growing up, that it was a natural outlet for transitioning to real life," Don remembers. It comes as no surprise because as a high school athlete in a small town in South Jersey called Wall Township, Don excelled as both an athlete and a leader. He was a three-sport captain, the high school's "Athlete of the Year", and took second place in the NJ state wrestling tournament at 157 pounds in his senior season. 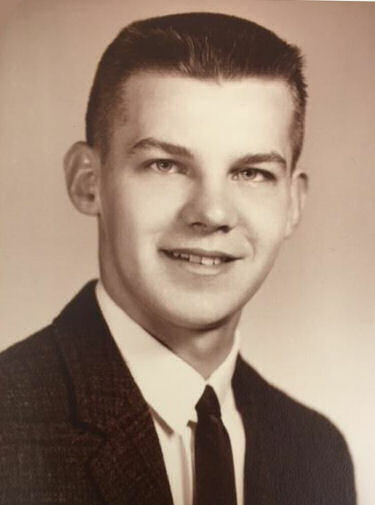 He maintained grades which put him well into the top decile of his class and gained his admission to Gettysburg University in 1967. He attended Gettysburg because it was the only college that would allow him to compete in both football and wrestling. He played both for all four years and, once again, was named captain of the wrestling team for his senior season. During those years, Don qualified for the NCAA division I wrestling tournament twice. Don was drafted into the United States Army upon graduation (during the Vietnam conflict). Although prepared to go, he was fortunate to be chosen to coach wrestling and football at West Point Prep in Fort Belvoir Virginia, a task he was more qualified for than carrying a rifle. 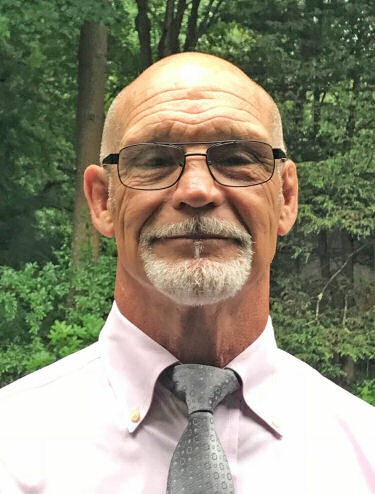 After being released from the service he coached both college football and wrestling for the next nine years with stops at places like Trenton State, Massachusetts Maritime, University of Tampa, and finally as the Head wrestling coach at Glassboro State University from 78-81. In 1981, Don ran into a man who has a knack for seeing talent and character, Larry Ciotti. They met through an organization called the Fellowship of Christian Athletes. Larry of course recruited Don and he finally got to put one of his Masters degrees to work as a school guidance counselor at DHHS. He held that position for a decade before moving to the middle school where he continues to serve. It is impossible to discern the impact that Don has had on hundreds of students over the years. He possesses the unique ability to be gentle, accommodating, and compassionate, while being firm and consistent in his approach. He is a very tough guy with a tender spirit honed by his own spirituality and an abiding faith in God. Every day he brings that combination to the students in his charge and they are eminently better for it. He and a handful of teachers and coaches established a chapter of the FCA which flourished under his guidance well into the early 90's. Sue Leckey, stated, "my time as a student being part of the FCA was one of the most meaningful, and enjoyable experiences I have ever had." Don continued his work on the spiritual side by conducting pre-game devotionals for the Hand Tiger Football Team for over a decade. The meetings were open to all players regardless of religious affiliation and centered on themes associated with service, sacrifice, and compassion for others. Although the program at Hand ended in the late 90's. Don has begun to work with a former Tiger, Eric Becker, and his football team at Coginchaug High School. During his time at Hand he served as an assistant wrestling coach and freshmen football coach. It wasn't until his move to the middle school in 1992 that his greatest impact would be felt. For the next twenty-six years (minus two when he was the head wrestling coach at Morgan) he coached middle school wrestlers. It comes as no surprise that many of our current Hall of Famers including, Derek Fish one of this year's inductees, were his pupils on the mat. If there were league and state championships for middle school wrestling, Don would have enough to circle this room with banners." He was the consummate teacher breaking down complex moves and situational awareness into things we could understand, then drilling us until we got it right. He made us want to be better. His greatest strength was in his willingness and ability to get boys who would never try a sport to come and wrestle for him. It was not unusual to see many preliminary matches prior to the actual competition where Don patiently coached every kid with the same passion and love that he gave to his very best performers. He was tough but fair and friendly and the kids loved him and he them. Don Cramer has no state championships, he's not a professional athlete, he never won a game for any Madison team. He is here because he embodies the purest most profound skills required by any coach. He is a student of his sport, his commitment to the job is unquestionable, and his respect, admiration, and love for the athletes in his charge is a central pillar in his coaching life. To put it simply, he is a difference maker in the life of every person who crosses his path. It is impossible to know him and not walk away better for it. Dave D'Alessio, Hall of Fame Class of 2015, said, "No person in the history of Hand wrestling has had more impact on the lives of our athletes and the program in general. He is the first name that comes to mind when wrestling is mentioned. He loved his athletes and the sport." Don currently lives in Clinton with his wife Eileen and has three children, Brian, Aaron, and Danielle along with seven grandchildren. 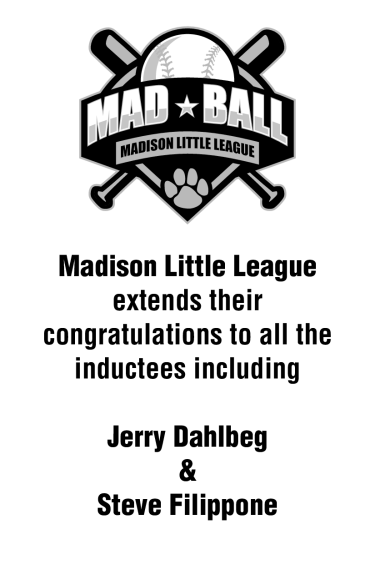 Gerald (Jerry) Dahlberg was one of the best athletes in Madison history. He was certainly one of the best in the 1950s and 1960s. A star in three sports (soccer, basketball and baseball), he excelled in basketball. His senior year, the team was 10-7 and fourth in the Shoreline League; however, he was considered the best player in the Shoreline League and ultimately was selected to the First Team All-State roster. Most All-State players are from the teams making the state finals or semi-finals. Gerry's selection defied the odds as he made it from a team that lost in the quarter finals. The coaches in the Shoreline League and around the state recognized his excellent all-around play as a defender, rebounder, and scorer (a 6'2" power forward). Starting sophomore year, he was a starter in soccer, basketball, and baseball. He led the soccer team to a 7-3 record in his sophomore year and to the state semifinals which was the best in DHHS ten-year history at the time. Their soccer record improved to 6-1-1 in his Junior year. He was an outstanding shortstop and pitcher during this high school baseball career. One legendary feat was reported by his friend Dan Mulvey. After high school while playing in the men's softball league, Jerry hit a homerun at the Academy School field from home plate, near Bradley Road, to the roof of the Academy School. He was the best power hitter in the league every year. 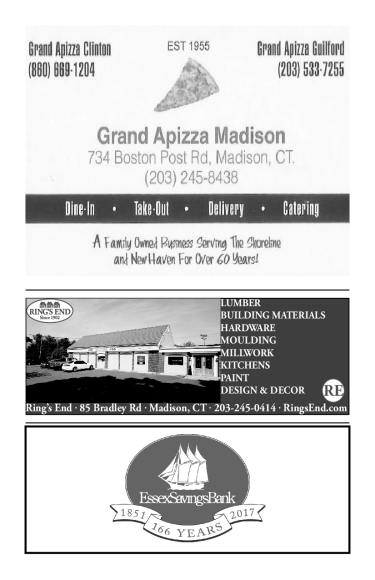 After graduation from DHHS, Jerry tried several "self-employed" business ventures. 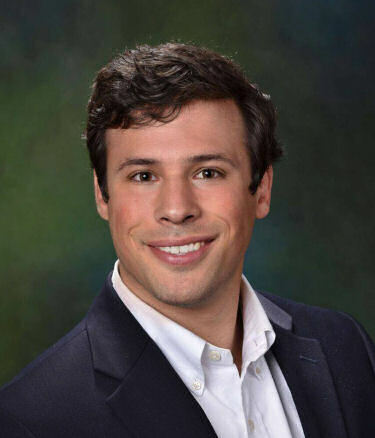 Eventually, he found his calling as a sales rep for a company in Central Florida. Jerry and Barbara are proud to have been among the last passengers to fly the Concord to England and return on one of the last voyages of the spectacular Queen Elizabeth II. Their voyage was christened by the Queen Mother prior to their trip, a very memorable experience! Jerry has two children, Kraig and Kara, both married with one child each. Jerry and his wife, Barbara, are retired and live in Central Florida. Madison is extremely fortunate to have a resident in Duo Dickinson, a world renowned architect. 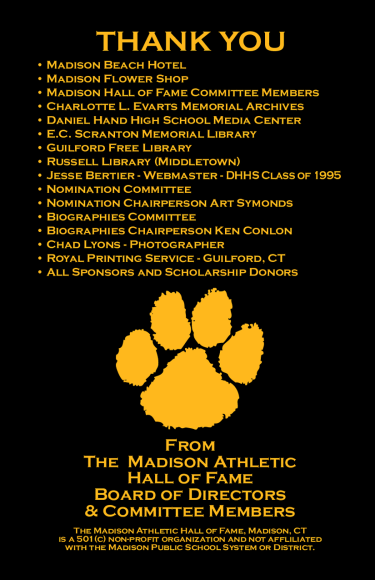 His induction into the Madison Athletic Hall of Fame as an Exemplary Contributor to athletics is an honor for this community. A 1977 graduate of Cornell University in architecture, Duo established his Madison firm in 1987, making an impression on his profession rather quickly. His signature designs have received more than 30 awards, and he has been published in more than 70 publications including The New York Times, Architectural Record and House Beautiful. 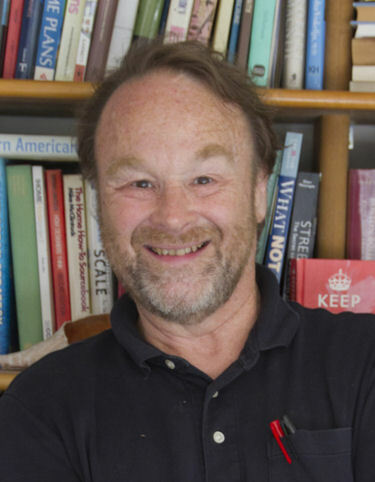 Duo is the architecture critic for the New Haven Register, a writer for the Hartford Courant, and has written eight books. In addition, he has hosted architectural radio and television broadcasts. Duo has taught at Yale University and Roger Williams University, and is on the faculty of Building Beauty, the Sant'Anna Institute in Sorrento, Italy and serves as co-chair of the American Advisory Board in Sorrento. Duo Dickinson is a giver. He is a man of faith who believes in helping his fellow man. His pro bono work has contributed to the construction of 75 projects. 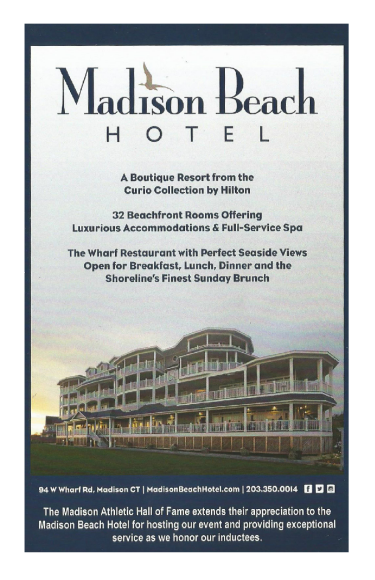 Madison is a fortunate recipient of one of his projects, Madison's Strong Center at the Surf Club. Duo captured a vision and roughly sketched a primitive, but thought provoking, design. Eleven years later, the completed Strong Center, one of the finest town athletic facilities in New England, is an exact replica of his initial creativity. His labor of love transformed an unsafe, decaying facility into a safe, state of the art one to be enjoyed for many years to come by the youth and residents of Madison. Duo's foresight demonstrated the success of a 3.2 million dollar private, public partnership project. His professional in-kind donation, financial gifts and professional courtesy saved the project at least $180,000 in architectural fees. Duo volunteered his office staff, supplies and countless hours the last 11 years leading to the completion of Strong Center. Many who know Duo realize that his true love is football. 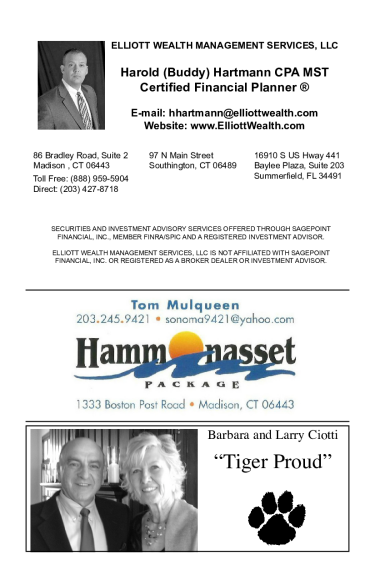 In fact, as an assistant football coach at Branford High School during the 80's, he competed against Daniel Hand High School at the Strong Field. Little did he know at that time he would inspire and lead a group of people to renovate Harold Strong Field into Strong Center, a venue not only for athletics, but also for the cultural arts. Duo and his wife Liz remain close to Hand Football as their son Sam Dickinson was a standout player on the 2009 team. For the past 15 years, Duo and Liz have donated books to each graduating football senior at the banquet. The book serves as a gift and a reminder to the players of the impact of knowledge. The Bible says, "Let us not become weary in doing good for, at the proper time, we will reap a harvest if we do not give up". Duo lives his life by this Biblical passage. No one truly believes in their significance until it is reflected in the eyes of others. Duo Dickinson's significance will be reflected in the eyes of the children of Madison for many, many years. Duo is the very essence of compassion, of duty, of style and of beauty. 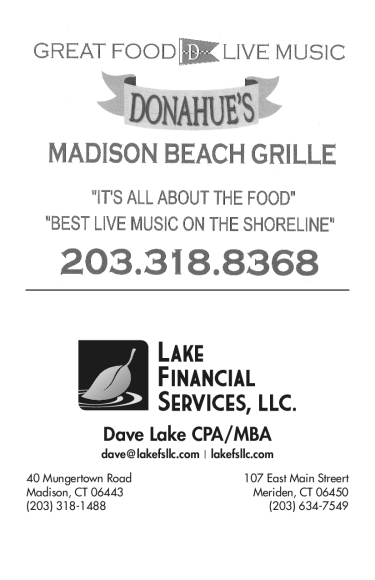 A young man from Bricktown, NJ came to Madison, CT in 1979. 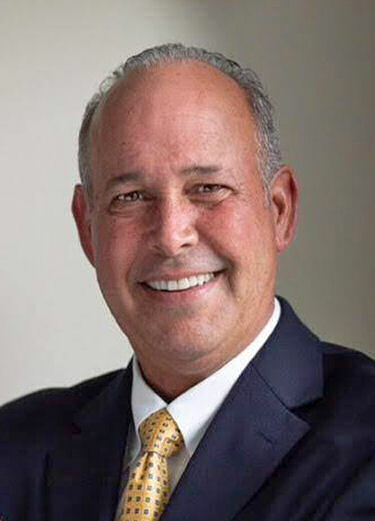 As a graduate of Southern Connecticut State University, he had hopes of inspiring the young people of our town through education and athletics. Steve Filippone was hired at Daniel Hand High School as a Special Education teacher and an assistant football coach. Ten years later, he earned the position of head football coach, not knowing at the time he would become one of the most influential educators and coaches in the history of Daniel Hand High School. From 1989 to 2016, his fierce competitive spirit transcended to his players while he accomplished feats unparalleled by any other in Connecticut and all throughout New England. In his 28 years as head football coach, Steve achieved a record of 223-82-5; a winning percentage of 72%; four undefeated teams; and seven Connecticut State Championships in 1989, 1997, 2003, 2004, 2005, 2012 and 2013. 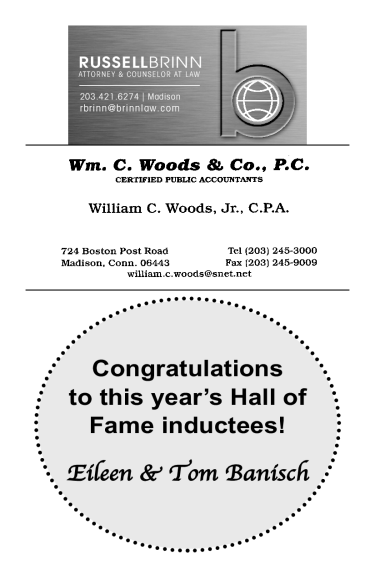 The 1997 team, the 2004 team and the 2013 team were voted the #1 teams in Connecticut by the state's sportswriters. Steve took an established football program and brought it to the next level. His expert coaching and motivational skills vaulted Hand into rarified air. Steve's efforts elevated Hand Football, not only at the state level, but also in the New England top 10 polls. Opposing coaches feared playing a Steve Filippone coached team. Some coaches would refer to a statement once made of Paul Bear Bryant, the famous Alabama coach. It was said, "He could take his ‘in' and beat your 'in', and then he could take your 'in, and beat his 'in.'" This is the respect that Steve attained. Steve has received several prestigious coaching awards during his tenure. 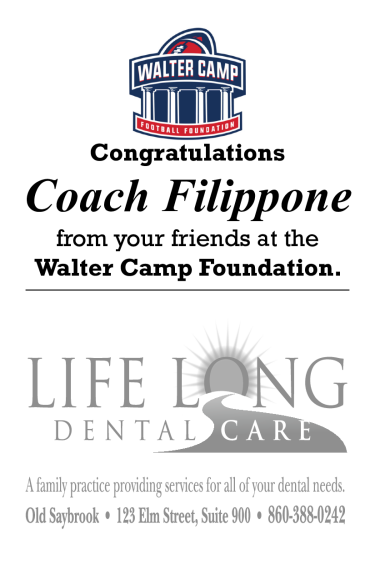 In 2010, he was inducted into the Connecticut Coaches Association Hall of Fame and the Bricktown Hall of Fame; he was named 2013 National High School Coach of Year; Walter Camp Coach of the Year; Connecticut Coach of the Year; three-time Football Foundation Coach of the Year; and in 2005, the elite Doc McIernery Coach of Year for all sports as selected by the Connecticut sports writers. In addition, he served as chairperson for the football coaches committee and president of the executive board of the coaches association for 14 years. He also served as chairperson of the CT-RI all-star football game. 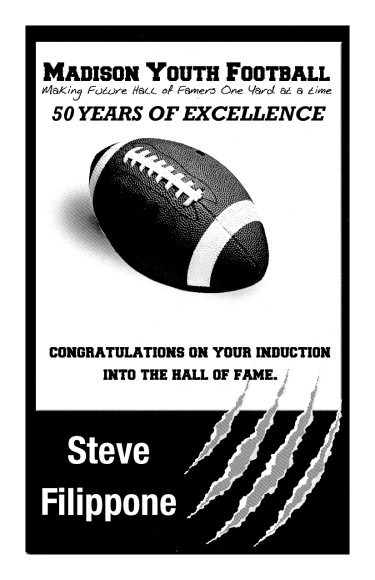 Steve always strived to uphold the high standards of Hand High School football. 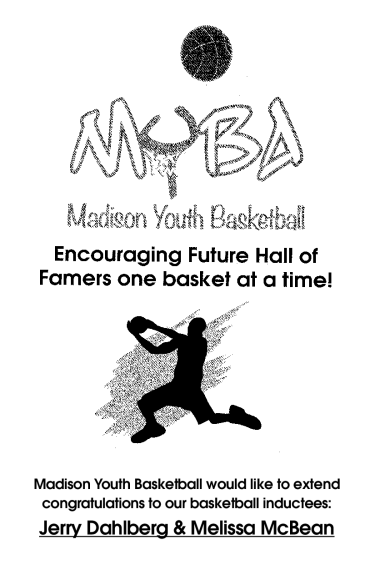 He sacrificed family events for his team and devoted his life for the betterment of Madison youth. His teams always displayed uncanny efforts on the field representing foremost the prestige, winning traditions and brotherhood of Hand Football. His influence on his players is difficult to measure as he affected so many who needed him on and off the field. At any time of day, or in the wee hours of the night, Steve never wavered in his commitment to assist his soldiers. 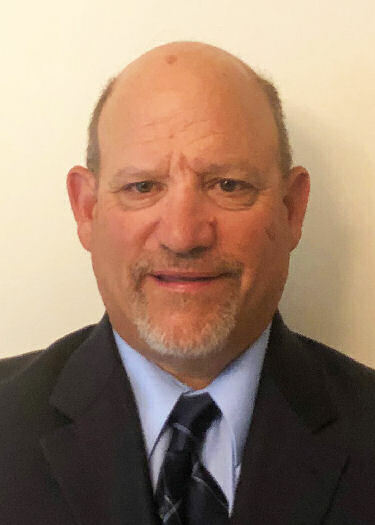 Thirty-nine years later, the Town of Madison and the Madison Athletic Hall of Fame are honored and privileged to induct this outstanding human being that made his life accountable – Steve Filippone. Steve and his wife Paula are living in Branford and have two adult sons, Tommy and Kevin. Derek Fish's accomplishments on the wrestling mat easily warrant his induction into the Madison Athletic Hall of Fame. During his four years at Hand, Derek amassed an impressive resume. Derek was a three-time conference champion winning his weight class during his sophomore, junior and senior years and nearly duplicated the feat at the state level. He was a three-time Class L place winner taking fifth place as a sophomore and then earning the State Champion title as a junior and senior. Derek's success continued at the State Open where he placed his sophomore, junior and senior years. He made it to the State Open finals as a junior and senior. As a junior, he lost to his friend and out of season training partner, who would eventually become the future junior college and Division II National Champion. As a senior, Derek was the number two seed at the State Open. He would eventually win the tournament and be crowned the 145 pound Connecticut State Champion. His placement at the State Open his junior and senior years qualified him for the New England Championships. While Derek did not place in the tournament as a junior, he won the New England Championship as a senior. Most impressive was the manner in which he won the New England Championship. Derek did not allow a single offensive point scored against him in the entire tournament, a feat comparable to pitching a no hitter during a championship game. He was named the best wrestler, regardless of weight class, for the entire state when he was voted the Connecticut Wrestler of the Year his senior season. Derek continued to build his athletic resume during college. He attended Dartmouth College which does not have a wrestling program, so he decided to try his hand at rugby. Derek was part of the early days of club rugby at Hand, but had no formal training in the sport. Dartmouth was a top-ten Division 1 program. By the end of his freshman year he was starting for Dartmouth in the national tournament. While attending Dartmouth, Derek earned All-American status as a sophomore and senior. A serious knee injury prevented this honor during his junior year. Dartmouth won national championships during Derek's junior and senior seasons. To say that Derek was an integral part of the team during those championship runs is an understatement. During the 2012 National Championship Tournament, Derek led all scorers and was named to the All-Tournament Team. His high school wrestling coach, Dave D'Alessio said, "The measure of a true leader is not by how much better they make themselves, but by how much better they make others. And by that standard, Derek was the absolute best." D'Alessio went on to say how Derek's impact on the Hand Wrestling Program far surpassed the four years that he was part of the program. "Derek set the bar so high while he was a captain that each captain that came after emulated his example." Derek currently lives with his girlfriend Julie in Chicago and works as a Vice President of Acquisitions at Realterm Logistics. 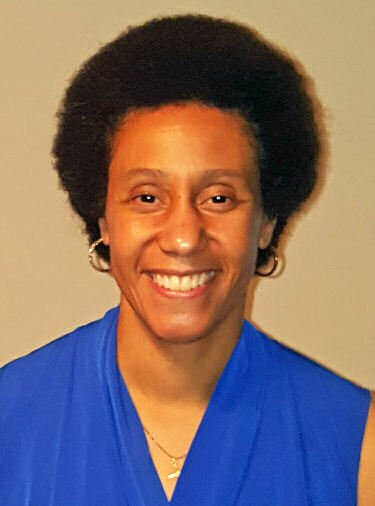 Melissa McBean, a dynamic three sport athlete from the class of 1993, was lightning fast, graceful and poised on the fields of competition throughout her high school career. Her quiet demeanor made her a pleasure to coach and her humility made her a remarkable teammate. Melissa earned 11 Varsity letters at Hand in Soccer, Basketball and Track. She then continued her Soccer Career at Dartmouth College, earning All-Ivy for four seasons before playing semi-pro and professional soccer. The Soccer field is where Melissa's passions and talents were fostered to their greatest potential. It was what she spent her time doing before, during and after Daniel Hand. While at Hand, Melissa was a four year Varsity starter for Coach Dave Scott earning All-Shoreline and All-State for three seasons, 1990-92. In 1990, the team was Runner-up in the State Tournament. In 1991, Melissa helped the Hand team to a league title while earning All-New England recognition. In her senior season, the Hand Soccer team was 15-1-2. Melissa scored 32 goals and assisted on 20 others. She scored a record 90 goals by the time her high school career ended and added All-American to her honors that year and was featured in Sports Illustrated: Faces in the Crowd for her offensive dominance. The tight quarters of the basketball court was another place for Melissa to exercise her natural talents of speed, quickness and agility. 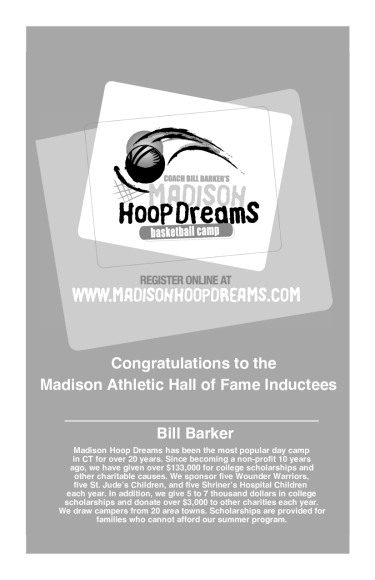 With what seemed like ease, she made an immediate contribution to the Hand Basketball team under Hall of Fame coach Jim Bombaci. 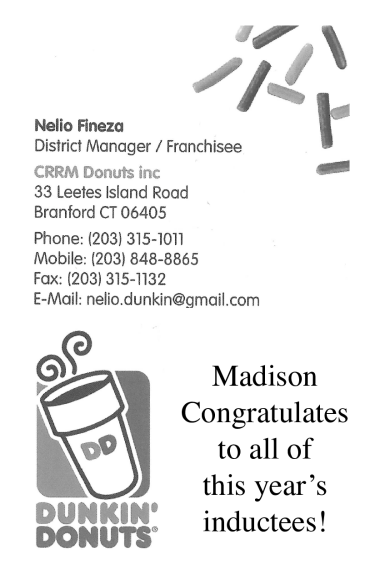 Melissa went on to be a 1000+ point scorer and one of the leading rebounders in Hand history. She was a 2nd Team All-Shoreline selection in her junior and senior seasons, won a Shoreline title sophomore year and while captain her senior year, she earned the Tap-off Club Scholar-Athlete award and placement on the New Haven All-County team. Coach Bombaci commented on Melissa's play: "She was the epitome of sportsmanship and class every time she stepped on the court . . . . she was fun to watch play, possessed unbelievable speed . . . leaving opponents in her dust as she flew down the court after appearing from nowhere to steal the ball." The Daniel Hand track and field coaches would not let the speed of Melissa McBean elude them. Coach Warren Miller said, "Melissa was a very talented and gifted athlete. She could have successfully competed in many other track and field events. Unfortunately, we were only allowed to use her in four events per meet. An excellent choice for HOF." She consistently competed in the 200, 4X100, 4x400 and the long jump and she "won or was in the top three in whatever events she participated in. She always hit the qualifying standards for the State meets and did very well in those meets," Miller said. Melissa earned four Varsity letters in track. .
Melissa selected Dartmouth College to study and to compete in Division I Soccer after her Daniel Hand career. At Dartmouth, Melissa was both Rookie of the year and All-Ivy MVP in her freshman season. She went on to earn All-Ivy honors again for the remaining three seasons. Melissa was designated an All-American at the collegiate level her senior year and earned a spot on Dartmouth's Ivy League Silver Anniversary Team in 1997. She had become one of Dartmouth College's most accomplished women's soccer players. Melissa continued her Soccer career with the semi-pro, MPS Boston Renegades from 1998-2000, and she was drafted in 2001 in the inaugural class of the Women's Professional Soccer League, with the New York Power. "Melissa is one of those players who only comes along once in a lifetime," foreshadowed Coach Scott. "She is the quintessential professional. She will do whatever it takes for the team to win, but she isn't selfish in any way. She is absolutely the best sort of team player." This is obviously one reason Melissa had so much success in the game. 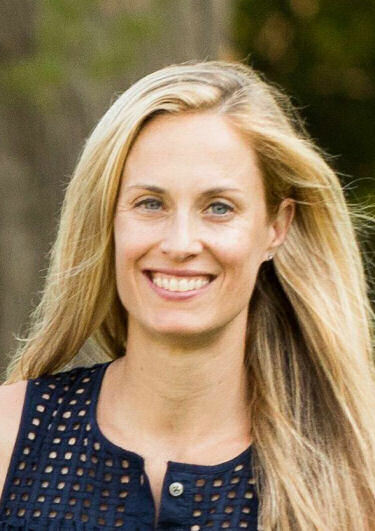 In 2006, Melissa was inducted into the Connecticut Girls Soccer Coaches Association Hall of Fame in the same class as Coach Scott. Melissa is the daughter of Cynthia and Carl McBean who are her greatest fans along with her brother Jason McBean (also an exceptional Daniel Hand and Dartmouth athlete). Melissa still plays soccer for fun. She lives outside Baltimore, Md. with her wife Nadine Forbes-McBean and has a career in the Insurance Industry. Regina "Gigi" Niekrash is a 2005 graduate of Daniel Hand and is the epitome of what Daniel Hand Athletics is most proud. A natural leader, she captained both the field hockey and softball teams and earned eight Varsity letters. She also played trombone in the band for Rich Fasano, and was a Friday night flag squad member, demonstrating the true Tiger Pride that we value so much. As a student- athlete, Gigi was a favorite of the younger kids in town and was a terrific role model for aspiring Daniel Hand competitors. Although Gigi is athletically gifted, she is also dedicated and hard working. She had a before and after practice presence at the fields with her Dad, taking shots in front of the field hockey cage, or at the plate honing her batting skills. This was a common sight from 2001-2005. In field hockey, Gigi was an impact player from her freshman season, playing a part in two triple overtime wins against higher seeded teams in the 2001 state tournament. The Hand field hockey team was later deemed the "Giant Killers" by the New Haven Register during Gigi's junior year after defeating perennial powerhouses Cheshire, Branford and Guilford in the same season. Hand won its first SCC title that season. Gigi, although a defender, had a fierce shot and was in the top ten in scoring for the SCC her junior and senior seasons, finishing her career with 49 points. She was honored as an All-SCC, All-State and New Haven Register All-Area player in 2003 and 2004 and she was invited to play in the Senior All-Star game. While captain of field hockey in 2002, the Hand team completed its best season to date, compiling a 15-3-1 record, another SCC title and a repeat trip to the Class M semifinals. Coach Sue Leckey recalls that, "Gigi played her heart out every day which seemed to bring out the best in everyone around her. It elevated the fun and the level of play." On the softball diamond, Gigi was known to crush the softball as well as chase down challenging fly balls, playing four years at center field and batting third in the order. Her career batting average was .344 and a big reason for her recognition as Coaches All-State for three seasons; 2003- 2005. According to Hall of Fame Coach Ray Ezell, "The thing that endeared Gigi to opponents, umpires, coaches and fans was her constant smile and her love for the game. Behind that iconic smile you wouldn't find a tougher competitor on the field or at the plate." During Gigi's four spring seasons, the Softball team made two semifinal and two final State Tournament appearances. After leaving Daniel Hand, Gigi continued her studies and her field hockey career at the University of Maine. She earned a starting position, an athletic scholarship and the Senior Captain title for the Maine Black Bears. Her academic accolades include the Dean's List and the America East Academic Honor Roll as well as acceptance in Kappa Delta Pi, Education Honor Society and Phi Alpha Theta, History Honor Society. Gigi returned to Madison after graduating from UMaine in 2007 where she continued to positively impact future and participating Hand Athletes. 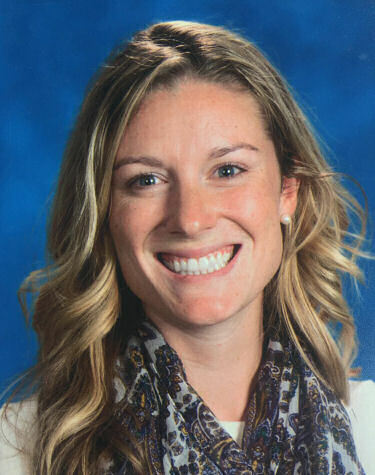 She mentored young field hockey and softball players in camps and private lessons, took two groups of girls to the Nutmeg State Games and coached Hand's junior varsity field hockey while assisting with the varsity team as well. Gigi is currently a third-grade teacher in Santa Monica, California, where she has lived since 2011. She also spent a year teaching at the Achievement First Bridgeport Academy where she fostered the love of learning for inner city middle schoolers. Gigi summers here on the East Coast doing some tutoring and reconnecting with home. 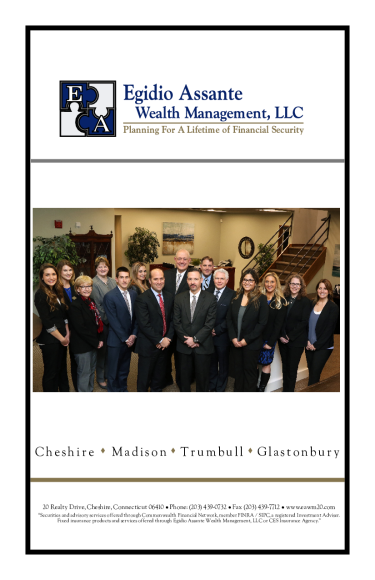 She loves to spend time with her family and, between Madison and Groton Long Point, Gigi indulges in summertime leisure with her greatest fans; her parents, Gina and Mike Niekrash, her grandfather, Pop-pop, her sisters, niece, aunts, uncles, and cousins. Few sports require the kind of diversity needed to coach track and field. Eighteen different events and you need to know them all. Combine that knowledge with great passion for the sport and you admire the kind of success Robert Roberti had in his decades long career as track coach at Daniel Hand High School. "Bob had a great passion for developing those athletes that wanted to excel in the sport," said long time assistant Tim Geary. "He was great at looking at a kid and letting him know what they could do to get better." Geary continued, "He wasn't afraid to share that knowledge with coaches and athletes from other teams which was amazing. Sometimes people want to keep that to themselves, but I heard from many coaches on how much he helped them over the years." While there are similarities, the technique for shot, discus and javelin are completely different. Long jump, triple jump and high jump may all be jumping events but they are not the same mechanically. The pole vault? It's so difficult that most colleges have a coach just for that. "He had a great knowledge especially in the field events," said Geary, who is still coaching at Hand. "He was a great mentor to me. I was a kid starting out (coaching) and he made it fun!" It's a testament to his coaching ability that he had excellent competitors in every event over the 25 years. 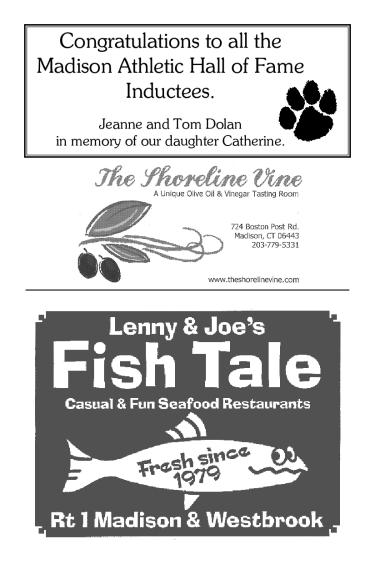 Under Bob's direction, Hand won the Shoreline Championship every year from 1980 to 1995 except two (runner up in 1984 and 1986). They also won the championship every year from 1997 to 2004 except for two years (runner up in 1995 and 1996) after moving to the Hammonasset division of the SCC. One of the most notable achievements is the fact he never lost to Guilford in his 25 years as head coach. Geary added, "Bob started The Freshman Invitational, one of the most successful invitationals in the state, and next spring it will be 43 years! He started it and we've kept it going. It's at the beginning of each season and it's highly successful." Born in San Giorgio, Italy. His family immigrated to the United States in 1956. His father passed away soon after they arrived. He grew up in Branford with his older sister and brother (Maureen and Joseph). He was an end on the football team in high school where he was a good-sized target for his brother who was the quarterback. His 30-year career teaching Physical Education and coaching in Madison began at Jeffrey School in 1973. Athletic Director Bob Duncanson recruited Bob to be the boys' cross country and assistant boys' track coach. He coached cross county for seven years and won Shoreline Conference championships in 1978 and 1979. He was an assistant to Warren Miller and then Larry Hally – and in 1980 he became the head coach of boys' track. 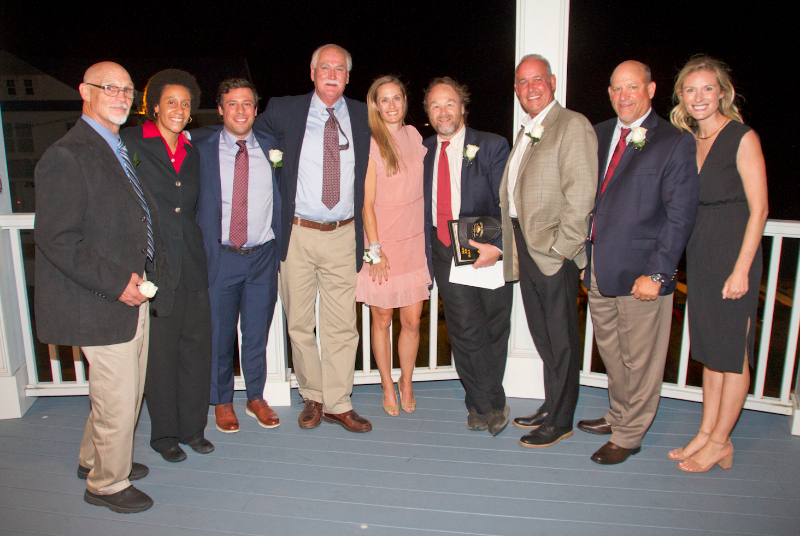 Coach Roberti would be the first to acknowledge that every successful coach needs good assistants and Tim Geary and Dave DeLise were a huge part of Hand's success over the years.